Private island paradise. Only 9 bungalows, 3 of which are overwater. Local charm and delicious food will win your heart over here. 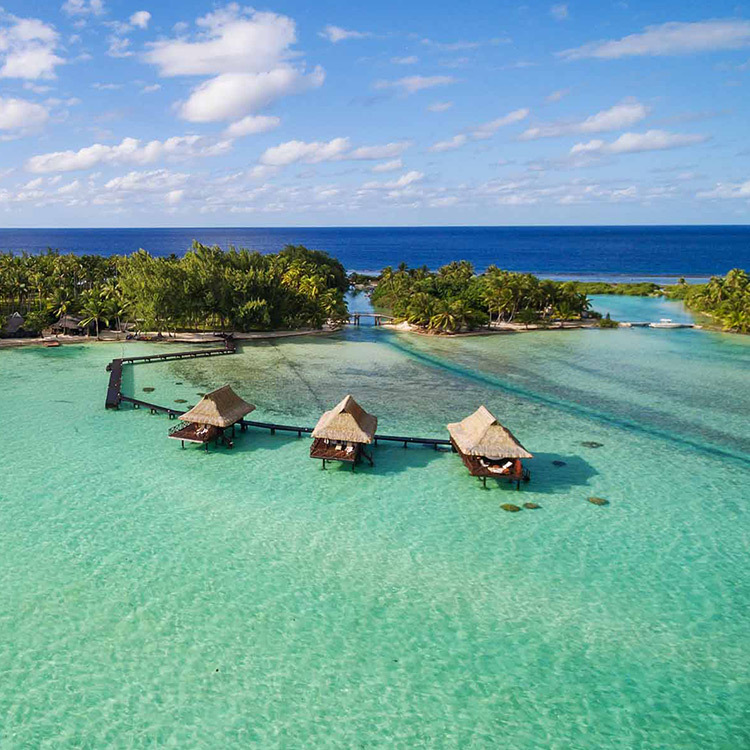 The ultimate island fantasy, Vahine Island Resort and Spa is a remote Polynesian hideaway on its own private island with just nine beachfront and overwater bungalows hidden among coconut trees and facing a pristine blue lagoon. Promising warm, tropical seas, mouth-watering cuisine and carefree sun-filled days, this is truly paradise on earth. Choose between Vahine Island ‘s beachfront and overwater villas. To enjoy the lagoon’s abundant wildlife, there is an aquarium table in the water bungalows to watch and feed the tropical fish that swim in the water below. Beachfront bungalows have a lazy hammock on their spacious decks with fabulous views of the lagoon and nearby Bora Bora.